The highlight of any science trip to Geneva has to be a visit to CERN. 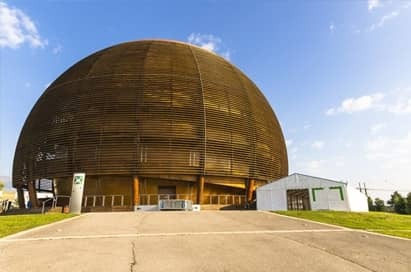 Founded in 1954, the CERN laboratory sits astride the Franco-Swiss border and is the world’s largest particle physics laboratory. Here scientists from across the globe are using the world’s largest and most complex scientific instruments like the Hadron Collider to revolutionise our understanding of the universe. Visits must be organised directly by the group leader, and offer your students unbeatable access to the scientists working on this global project. Add a visit to the History of Science Museum, United Nations tour or a cruise around Lake Geneva to provide a well-rounded science itinerary that both inspires your budding scientists and showcases this stunning and cosmopolitan city. This is where the Internet was born 20 years ago, and where 10,000 physicists try to unlock the secrets of the universe and the Big Bang: CERN, the world’s largest laboratory for particle physics, is based in Geneva. Tours of the centre last half a day and can be themed to include any of the following topics: Accelerating Particles, Discovering Antimatter and Information Technology, Calculations and Communication. This can be followed by a visit to the Microcosm exhibition or the exhibition in the Globe of Science and Innovation. The exhibition at the SIG Energy Pavilion tells the amazing story of electricity. Visitors will discover a variety of installations illustrating the birth and journey of electricity, from the power plant to the home plug. New renewable energy sources are presented in a practical and informative way. 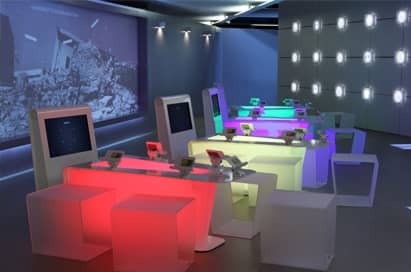 Tailor-made settings, low energy installations, clear, colourful explanations, films, models, interactive activities and even a workbook…visitors can enjoy a quality learning experience. WMO is a specialized agency of the United Nations (UN) with 191 Member States and Territories. It is the UN system's authoritative voice on the state and behaviour of the Earth's atmosphere, its interaction with the land and oceans, the weather and climate it produces and the resulting distribution of water resources. Group visits are organized upon request and according to availability. The History of Science Museum is the only one of its kind in Switzerland. It is also an excellent display case for the city’s scientific past, which was particularly outstanding in the 18th century. The collections are composed of numerous old scientific instruments (microscopes, barometers, sundials, astrolabes, etc. ), and books and documents bequeathed by the families of Geneva’s scientists and scholars. The Swiss Plasma Center is one of the world's leading fusion research laboratories. Through a wide range of research programs, scientists are working to advance our understanding of the physics of plasmas and develop fusion as an energy source. Groups can take a one hour guided tour including the tour of the tokamak (unique in Switzerland). 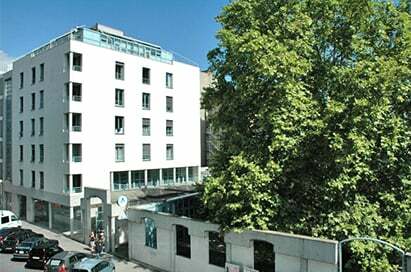 The visit is located in Lausanne so a coach is required. What is an observatory? Which are the great fields of research in astronomy? Which tools do astronomers use? What is the daily life of an astronomer? You will discover all this during your visit. Really happy with the service, everything was clear and we were able to complete trip without a hitch. At every stage your staff were extremely helpful and knowledgeable.